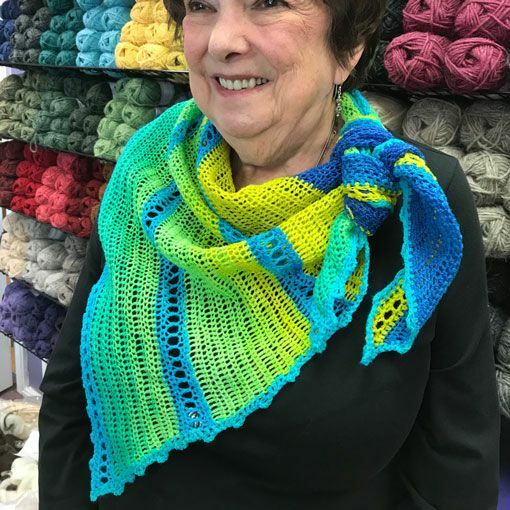 We love how our 2017 Yarn Discovery Tour crochet pattern, Euclidean Eyelets Shawl, strategically plays with colors to create a stunning shawl with lovely eyelets and picot edge detailing. 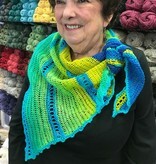 By using both ends of one skein of Freia Merino Lace Ombré, you'll be able to create a shawl that appears to be many colors and many skeins of yarn. Your finished piece will be a perfect asymmetrical shawl that is lightweight, colorful and a dream to wear! 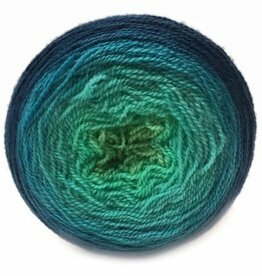 Freia Ombré Merino Lace is a yarn cake full of colorful fun! 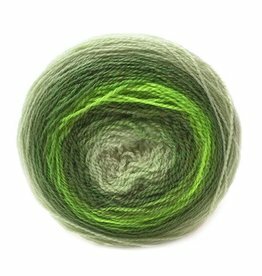 This 2-ply lace weight yarn is created from 100% US Merino wool.